Thailand’s biggest island is arguably most known for its world famous beaches and its turquoise colored waters. However, we invite you to step inland and find out more what started off as a fishing island, and now produces some of Thailand’s best food. Our easy to learn cooking classes will show you a hands on approach to making traditional Thai food. We also offer vegetarian cooking classes, and most of our classes offer you to take a trip to a local market to pick out your fresh ingredients to cook with later. 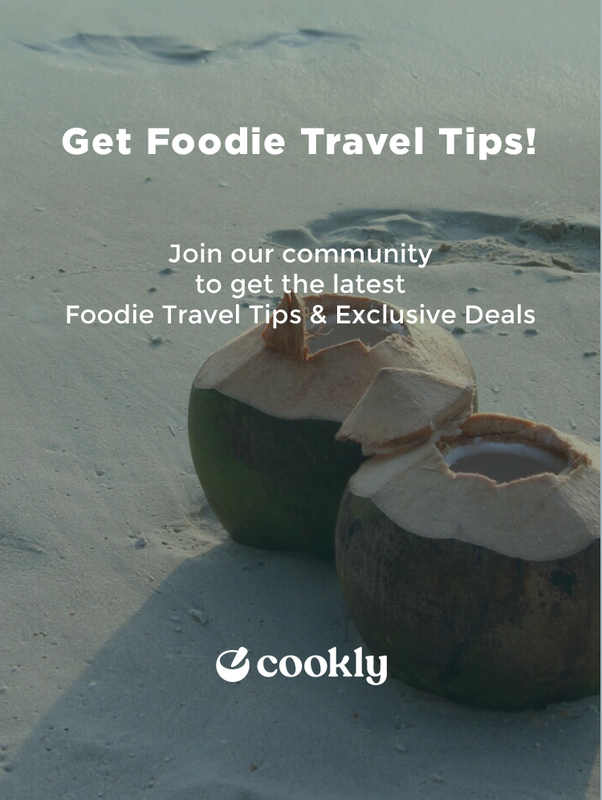 However, if you are looking for a unique cooking class, some of our classes offer fruit carving lessons, and one even offers a waterfall tour! The chefs were very skilled and knowledgeable. They were able to clearly explain and demonstrate all techniques required to complete each of the five recipes. They also demonstrated how to adjust the final products to meet our individual tastes. Everyone was friendly and really made us feel at home. It was a great experience and I would love to go back. We were very surprised about the quality. We saw the Market and bought everything fresh. We tried everything we didn‘t know. In B‘s place we cooked all together but everyone cook by themselves. It's an amazing experience. We kindly recommend it! B was absolutely beautiful person inside and out! She took her time with us through the market and even let us try some stuff. She was very friendly and passionate about teaching us the whole time. The food was DELICIOUS. I am not a big Thai food fan, but she really changed my mind with her recipes. She wants to make sure that you really learn how to make this amazing food on your own. Take this class! If you don’t, you will regret it! Best cooking class that is well worth your time and money! I enjoyed the class and the host. The rest of my group arrived a little late so she took me to the market a little early. There, we had an authentic Thai breakfast. It was great! Lots of detailed instruction and hands on cooking is what you should expect from this class. She even coached Felix on some knife skills techniques. I had a small window of time to get to my next excursion so I was worried about starting later and missing out. I don’t know how she did it but I went shopping, I cooked, I ate, and I made it back to my hotel in time to catch my shuttle to my next excursion. Next time I’m in Thailand I will come back and learn some more! So glad I took the morning class which included the food market. Learning about how to choose the best quality ingredients to cook Thai food, what grows here, what is imported, and tasting things was great. The cooking class was equally interesting and challenging. All the dishes were delicious but my favorite was yellow curry. It’s the first time I have tasted “real” homemade curry sauce. It is out of this world! All the staff at Blue Elephant rate “10”. Perfect day. Thank you. "Best memory for my trip"
Bee is amazing!! She is sincere, patient and pure love cooking and teaching. Attending her class feel like visiting and learning from friend instead of attending just a class. Mine was a small class with 2 persons. Bee’s brought us to the market and told us about the ingredients, not only for the menu we chose but also whatever we have seen in the market. You can feel her passion in food. This is the best cooking class experience for me. I definitely recommend Bee to anyone who want to learn Thai cuisine. "Superb! Fun and amazing cooking class." The class itself only had three of us as they try to keep it small, so everyone gets a chance to cook and we are able to learn slowly and have a clearer picture by writing down our own notes and recipes. Starting out with a trip to the local market was an experience itself. You’ll pick out the freshest locally-sourced ingredients, free from MSG or additives. We learned how to make our own curry paste from scratch instead of buying pre-made ones. The home-based facility is clean and very organized. We choose 4 dishes (Pad Thai, Tom Yum Goong, Massaman Beef Curry, Green Curry) from a list to cook from. The cooking part was intense and fun. The amount of food we cooked was amazing and so delicious (even better than the restaurant outside). Our class took longer than the stated time as we made our own curry paste and the Massaman Beef Curry needs a longer time to cook, but Bee was very patient and did not rush through the dishes. She also went the extra mile to pack our last dish as we were too full to eat anymore after having three delicious dishes before. She also offered us some brown rice to bring back to our hotel so we can have it with our green curry for dinner. Bee is very energetic and bubbly. She is very knowledgeable of the Thai dishes that she taught us and also able to tell us what ingredients we can use to substitute if we can't find the same ingredient in our home country. Not forgetting to mention Ben, who drove us around and had a great conversation with us. Both of them are very friendly and genuine. These guys are superb and I'm so glad I found them. I would recommend them to anyone and you will not regret. The cooking class was the highlight of our trip to Phuket. You will have to try it yourself to experience it. The chef was energetic, friendly and great with all the personalities in the room! My boyfriend and I loved how we got to pick the dishes we wanted to cook and the recipe book to take home with us was an added bonus. Great valentine's day evening!! If you enjoy food and cooking this is a must! Expert instruction from the lovely Christine but what she also bought to the experience was a nice friendly and relaxed vibe. I loved the market experience which was an education in itself. The school was well equipped, clean and airy with beautiful views. There are I think ten cooking stations, plenty of room to move around and after your hard work you get to eat your delicious creation along with wine (at a small additional cost). Water is free. The leftovers can be boxed up to take away which is just as well because the portions are big. I loved every minute and will do it again. Absolutely fantastic experience from start to finish! Our visit was so informative that I have learned so much about the historical landmarks of Phuket. The cooking class was also the highlight of our tour. I have learned a whole lot of new techniques in cooking Thai culinary thanks to our chef and all the staff who guided us in our class. The food was also incredibly delicious! A must try course! And oh, I also got my certificate, apron and lots of products as well, feeling like a true Thai Chef! "Such a fun way to experience Thailand!" This was such a great addition to our Phuket itinerary and made the trip very special. We enjoyed the express class, which allowed us to learn three recipes while leaving the rest of our day to tour the island and snorkel. Nong was such a patient and fun instructor and taught us so much about Thai culture. We’d do this again and we highly recommend!